The eligibility criteria for courses in my college is minimum percentage in +2 and diploma courses. Attendance should be maintain at 75% per semester. For each subject every one should have a maximum credit (i.e, 3) alloted for that subject, then only he/she will be declared as qualfied in that subject. 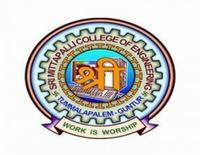 Eligibility criteria for getting admission in Sri Mittapalli College of Engineering is an intermediate pass. Entrance test EAMCET must be qualify. The cutoff is 40 out of 160. People with intermediate degree and good EAMCET rank can apply.